In 2011, India’s gold importation accounted for a full fifth of global annual supply. That’s more than any other country and as much as Switzerland holds in its central bank vaults. So why does the country have such an infatuation with the metal? 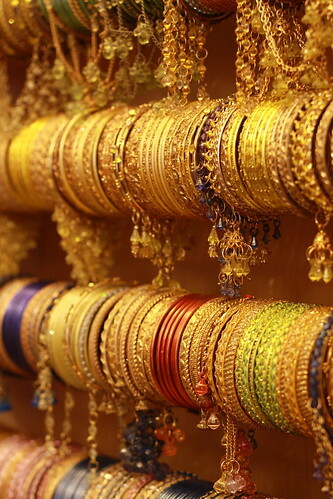 Part of it is tradition—CBS News explains that “Just as part of the American dream is to own a home, the dream in India is to own gold.” It’s an integral part of weddings and ceremonies, and Indians perceive gold to be as much of a sign of wealth as it is a fashionable accessory. To read more about India’s relationship with the gold market and the impact that its buying habit is having on its economy, click here. With the holiday season upon us, now is the perfect time to turn your unwanted gold jewelry and coins into cash. At Cash for Gold USA, we make the process of selling gold simple. First we provide you with a secure, prepaid envelope that is insured for up to $1,000, and all you have to do is ship us your materials and wait to receive a check in the mail! We have been found to pay more than the competition, and we offer every one of our customers a satisfaction guarantee. Some customers have earned over $20,000 cash, and you could be next—request a free SAFEPAK mailer today!